At B9Creations, we understand how much your business relies on the smooth running of your machine. 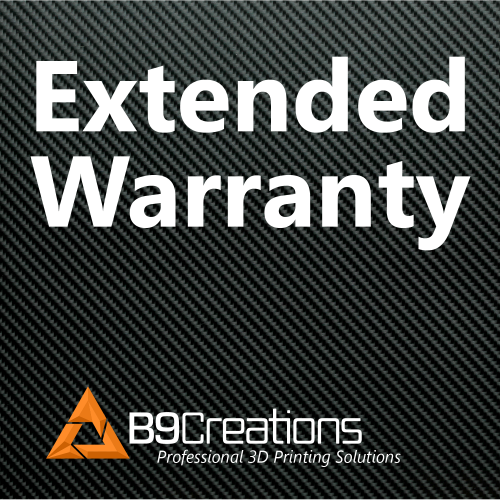 That’s why we offer an added safeguard with B9Creations Extended Warranty that provides coverage for your B9Creations 3D printer after your original manufacturer’s warranty expires. Our Extended Warranty is more than a one-year extension of your manufacturer’s warranty. When you ship your printer back for a specific fix, our expert technicians will also use a rigorous 25-point service checklist to keep you B9 Core Series running the way it did when you first hit print. Certainty and peace of mind. Lock in tomorrow’s maintenance at today’s prices, affording you instant peace of mind. No unexpected repair costs. And the knowledge your machine is covered when you need it most. Coverage you’ve come to expect, hassle-free. 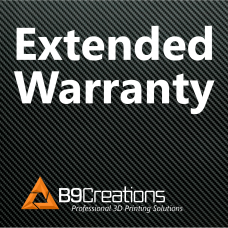 Our extended warranty is as extensive as the manufacturer’s warranty. You’ll get the same coverage of material and manufacturer defects as you did during the original limited warranty period. Quality. All replacement parts come straight from the factory, with the highest quality and most up-to-date manufacturing and service standards. Confidence and Competence. All inspections, replacements, and repairs are done by highly skilled, factory-trained B9Creations technicians. Trained to repair. Certified to exceed expectations. Protect Your Investment. When you send us your machine, we’ll examine it top-to-bottom and perform any necessary repairs, keeping your 3D printer running in optimal condition. No repair is too small to get our full attention.